Hopeworks is proud to work with many not-for-profits, local community initiatives, government and businesses. We wish to pay particular thanks to the the following organisations who have so generously given us their considerable time, support and backing. With sales in excess of $900 million and employing over 4,000 staff across New Zealand and Australia, Repco is the largest reseller and supplier in the automotive parts aftermarket in New Zealand and Australia. Repco has the most widely recognised automotive brand in New Zealand and Australia. The Repco brand stands for quality, expertise and knowledge. Repco have over 175,000 parts in our system. Repco benefits from preferred supplier relationships, better buying power and the ability to provide a great range of products and services. Our size and scale gives us access to global brands, being the first to market with many innovative products. With 80 stores nationwide there's sure to be a Repco store close to you. Repco is open 7 days a week. Carjam Online Ltd is a NZ owned and operated company with a strong public safety focus. Despite their size, they have campaigned on many issues such as the introduction of government fees in exchange for basic vehicle information which they felt impeded the public from accessing information that could help them make an informed choice about whether they were purchasing a safe vehicle. Carjam support the promotion of any information that can help an individual purchase a safe and reliable vehicle, and it is fantastic to see them come on board in support of what we are doing, especially given the high statistics of brain and spinal injuries as a result of vehicle accidents. I could not speak more highly of this private rehabilitation group founded by Julie Rope. Her passion and dedication to clients in phenomenal, as is the skill and compassion of all her staff. Julie, and her staff, have happily given me their time and feedback and for that openness and proactive spirit, I am very grateful. Julie has extensive experience within acute neuro-surgical and neuro-medical units, stroke rehabilitation units and community teams with both young and elderly client groups, neuro-intensive care units, a brain injury assessment unit for the minimally conscious, neuro-oncology and infectious diseases, vestibular rehabilitation outpatient clinic, neuro-hydrotherapy, spinal cord injury rehabilitation and Parkinson's community management. The New Zealand Police are heavily involved in education and awareness programmes for the public and cover a diverse range of topics from cycle, boat and pedestrian safety, to road safety campaigns and partnerships with schools and government. They also commit huge amounts of time to community initiatives including Right Track, RYDA and anti-bullying programme Kia Kaha. The New Zealand Transport Agency have created a number of informative resources around road safety, including strategies to promote safer road use i.e. highlighting driver issues such as fatigue, speed and road conditions. They also have many resources developed for use in schools, and advice for young drivers who are beginning their learning. Road Safety Education Limited (RSE) is a not-for-profit organisation which is committed to reducing trauma on our roads through the delivery of industry-leading, evidence-based road safety education programs for high school students. RSE’s award-winning road safety education program for senior high school students lies at the heart of a suite of programs currently being developed for young people in years 9 to 12 and forms the platform for new road safety education programs for parents and corporate partners. To read more about the work RYDA do, or to book your school into their programme, click here. Whether it is helping young people reach their potential though youth and leadership programmes, building a walk and cycleway in the local community, partnering with a local school to raise funds for a better education or even supporting Pacific villages with water and sanitation projects, what Rotary does they do well, making a lasting impact. Rotary members are friendly men and women united by a desire to pitch in together to make our communities a better place for all with participation frequently a family affair. They are broadly representative of the community in ages, backgrounds and vocations and involvement is respectful of individual circumstances. What we do is guided both by the needs of the community and the passions of the members. There is plenty of scope to be involved with Rotary clubs in virtually every community throughout New Zealand and the many Pacific island nations. To find out about what services are offered in your area, click here for contact details. support, education and information services as well as regional field workers. The New Zealand Dystonia Patient Network was founded in 1992 and currently has over 300 members. Through their subscription process, you will be put in contact with other dystonia patients and receive a regular newsletter. There are several support groups in both the North Island and South Island. They offer support to dystonia patients with information, advice about living with dystonia and networking opportunities, as well as increasing awareness about dystonia – both among the medical community and the general public. Stroke Foundation of NZ Inc. The Aphasia New Zealand Charitable Trust is a national organisation and registered charity, providing services, support, education, information and advocacy for the estimated 16,000 New Zealanders living with aphasia. Their aim is to assist people with aphasia, their families, extended whanau and the wider community to communicate effectively and reduce the barriers faced by people with aphasia. They offer a range of resources, information, education and training programs which can be tailored to your needs. The Cerebral Palsy Society of New Zealand helps people with Cerebral Palsy by providing a number of practical everyday programmes. Ther Programmes and services are designed to assist New Zealanders living with Cerebral Palsy and their families with gaining independence and an enhanced quality of life. The society also offers Grants for it’s members, and provides advice and advocacy on their behalf. The Brain Injury Association of Auckland has been established 30 years. Our mission is to provide support, advocacy, information and education for people with brain injury and their family/whanau living in the Auckland region. BIA Auckland currently provides family liaison services across the Auckland region from Te Hana in the North to Mercer in the South, in effect approximating the areas covered by the Waitemata, Auckland and Counties-Manukau District Health Boards. Parkinson's New Zealand provides: Education, Information and Support for all people with Parkinson's, their caregivers, friends and families. We also provide information and educational services to non-members, health professionals and the general public. We work closely with other neurological organisations, and in some less populated areas, Parkinson's Community Educator Services are supplied by the Multiple Sclerosis Society. Founded in 1983, The Parkinsonism Society of New Zealand (Parkinson’s New Zealand) is a community based, non-profit organisation, registered with the Charities Commission and reliant on funding from grants, bequests and donations. We have 20 divisions and branches supported by a National Office in Wellington. 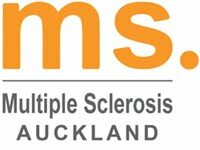 ANZMES is the national support organization for ME sufferers and their carers in New Zealand. It was founded in 1980 and was the first ME organization of its type in the world. We provide information, support and practical advice for people, families and carers affected by ME/CFS (Myalgic Encephalopathy/Chronic Fatigue Syndrome). We also fund and support research, and offer education and training. visits, referrals to appropriate health services, counselling, and referrals to a range of other services. We provide information and educate Members through workshops and seminars. Our Field Workers facilitate support and networking groups and exercise classes including hydrotherapy and yoga classes and professional counselling. Our mission is empower people with Multiple Sclerosis, to lead independent, active and fulfilling lives. Our Society covers the Greater Auckland Region from Rodney District in the North to Counties/Manukau in the South.